We are our brains. The study argues for a theory of the brain based on the brain itself, not on theories generated to explain the world in some of its many aspects. Consequently, this study of the brain debunks those analogy assumptions, never confirmed by science, that still dominate brain science. The hypothesis advanced concerns the distributed nature of brain activity. It describes the role of interactions, the specific causality characteristic of brain related dynamics, and the broader questions of cognitive activity associated with awareness of change (usually subsumed as consciousness). Empirical evidence that brain processes are anticipatory in nature leads to the conclusion that reproducibility, as defined within the deterministic experimental method, cannot be expected. Significance for the performance of the living (reproduction, survival, evolutionary edge, etc.) informs brain processes and explains their non-deterministic nature. In the age of computation, consider X to be the next focus in science. In a time shorter then what it took for scientists and technologists to define, test, and deploy X, there will be a theory and an experimental proof generalizing from X to the living. The statement (known in a variety of formulations, from very crude to very subtle) that brains are computers is one example. It took less time than it did to define, test, and deploy computers, for McCulloch (1949) to come up with the formulation. Von Neumann, Newell, and Simon, etc. followed suit. The most recent such theory is the so-called “nature’s brain.” This “theory” sets forth that nature itself “learns and remembers past solutions just as our brains do” . The novelty is that brains, in this theory, are now not von Neumann machines, but learning systems. This new theory goes on to ascertain: The “spontaneous emergence of… adaptive developmental constraints brings up the notion of foresight.” The argument is straightforward: the ability to adapt is analogous to the ability of learning systems. Since Google DeepMind (i.e., deep learning) succeeded in winning over the world champion in the extremely complicated game called Go, nature must, of course, take the same path. The most successful accomplishment of recent science (“…consider X to be the next focus….” see above) becomes the new theory of how living nature behaves. The fact that foresight—a notion from which deterministic science distanced itself—is, in this new theory, associated with nature is in itself reason enough for further discussion of the anthropomorphic language in which nature’s “brain” is described. The circularity of such pronouncements has been repeatedly pointed out: take the construct “Theory of X” and examine something different from X from this theoretical perspective. The anthropic brain (based on Bolzmann’s anthropic principle), the holonomic brain theory (Karl Pribam), and similar are good examples. “The brain is Bayesian” was stated many times by those ignoring the fact that the brain, of Bayes , came up with the Bayes formula. (Actually, it was Price , who edited Bayes’ text.) Different brains developed the algorithm of Bayesian updating (i.e., inference): reduce the space of hypotheses by using new information as it becomes available. However, the rose-colored glasses used to look at the world—in this case the Bayes formula—do not make the world rosy, but only color the perception of it: “Nature does deep learning.” Many examples of similar generalizations are documented in the history of science: “Everything is a mechanism/machine,” “Everything is a system,” “Everything is a computation.” And so on. “Everything is Bayesian” is only one more example. It can happen, though rarely, that a biological theory (such as that of the genetic code) is generalized to a domain different from that of the living (in this case, genetic computation). 1. Brains are embodied in particular forms of living matter distributed in the entire body. 2. The brain is the locus of interactions that result in the perception of change and in the awareness of self-change. 3. Brains are always in anticipation of the actions through which they are expressed. 4. The dynamics of the living, in particular that of the brain, is of a broader causality than that of the entities in which it is embodied. 5. Brain processes take place in the domain of meaning. To reduce the understanding of the brain and its functioning to the quantitative understanding expressed in the physics of its material embodiment (even of the most sophisticated expression) is to negate the brain’s expression in the processes through which minds are constituted. In line with many scientists who realized that the brain is more than what meets the eyes examining it, Gelfand wondered whether “… neurons do not have, metaphorically speaking, a â€˜soul’, but only electrical potentials” (Arshavsky ). We shall try to address his concerns. Moreover, we ascertain a model of the brain that corresponds to a thinking body. This model affirms the holistic nature of thinking, taking into account that the vast majority of neurons are not concentrated in the brain, but distributed in the entire body. 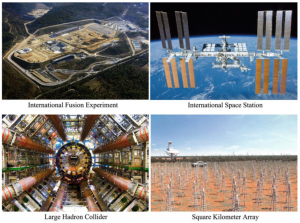 The international nuclear fusion experiment, the international space station, the square kilometer array (of radio telescopes), the large hadron collider, are the highest priority for those institutions that fund the scientific community, with hundreds of billions of dollars allocated. The human brain, approached by the European HBP Project (112 partners from 24 countries), the USA-based Brain Activity Map (BAM), Japan’s Brain/MINDS project are funded in the range of 10 billion US dollars (Figs. 1 and 2). Inference from the level of funding to the relevance or importance of the subject could help in recognizing motivations: the “Why?” question. It could even suggest an awareness of what is possible: to understand the physics of the universe (a high-order task) or to obtain some insight into how human beings live, think, act, how they formulate their questions and advance answers to them. The disparity in allocated resources does not disclose the degree of adequacy of the effort. Even the most critical voices will not abstain from acknowledging the progress made in the study of nuclear fusion, in the research of outer space (to which radio astronomy contributes broadly), or in the study of matter and energy. Physics—up to the 19th century practiced as natural philosophy—underlies the scientific revolution (to which Galileo largely contributed). The deterministic foundation came from Descartes (in respect to causality) and Newton, who made natural law the expression of human knowledge of the universe. It is not the purpose of this study to recount the history of physics and the various steps it took to reach the impressive current state of knowledge of physical phenomena. There is nothing comparable on record concerning the evolution of knowledge about the living, and even less about the brain. This is not surprising since beyond Descartes—focused on the “pineal gland”—and Newton, all that there is, alive or not, has been considered as a subject of physics—including the brain. Whoever examines brain research as a major endeavor of our time cannot avoid a simple observation: “Big Neuroscience” (the name under which brain research is aggregated) is in reality another name for computer science, or computer-based experimental physics relying on neuroimaging as its main source of data. In the issue dedicated to 20 years of MRI, Neuroimage uses the expression “workhorse method” to describe MRI’s role in cognitive neuroscience . For as long as looking at the human brain was not possible (unless the subject was dead, i.e., a post-mortem brain), the focus was on what could be seen from outside: the shape and morphology of the skull. Shakespeare’s skull was presumably stolen from the grave with this intention. Phrenology (as study of the shape of the brain was called) gave way to examining patients affected by the loss of some abilities. The inability of two of Broca’s  patients to talk inspired his desire to establish which parts of the brain were responsible for this condition. With electricity came the focus on brains’ electrical signals and electroencephalography (EEG) emerged. It was initially invasive to the extent of actually not measuring but triggering a variety of processes. X-rays became the visualization medium in the computerized tomography (CT) scanner. The entire scanning technology became a subject of its own. It extends from CT to CAT (computerized axial tomography) and to PET (positron emission tomography), which detects the gamma rays emitted from the radioactive chemical injected. From here to functional magnetic resonance imaging (fMRI), the progression includes computer visualization and the associated programming that turns changes in the blood flow in different parts of the brain into images supposed to represent brain processes. A large number of studies question the method . Yet again, this is not an account of technologies, rather a suggestive sequence of steps documenting how scientists and doctors have tried to “get into the brain” in order to understand it. Available methods (the “glasses” through which we look at the brain) dictated the outcome. With the advent of molecular biology, the focus was placed on what makes up the grey mass one sees when the skull is opened or when post-mortem brains are examined. Brain cells continue to be analyzed in detail; the chemistry and the genetics of the brain are among the most advanced fields of research. “A brief history of the brain”  covers billions of years leading to the human brain as it is known today. It also reports on the variety of angles from which the brain was considered. From cells to nerve cells, to neurons, from a distributed configuration to a central brain, this is an evolution-anchored narration impressive in what it ascertains, but also in what it leaves out—or does not yet understand. Willis  suggested something that we can call “the functional organization of the brain.” Galvani  discovered the role of electric signals; Broca (as mentioned) cortical localization; Ramon y Cajal  came up with the neuron perspective; Loewy and Dale  discovered neurotransmitters, etc. (Finger  among others, gives a decent account for such contributions). All these eminent men were consequential in guiding brain researchers. One example: Barlow’s “neuron doctrine”  (as it is called) states that functions of individual neurons can be extrapolated in order to explain the function of the brain as a whole . To stick to the imprinting metaphor, various “ducks” lead to various conceptions. Nevertheless, the controversial aspects of the technology deployed for measuring the brain are of significance to our purpose, i.e., lending credence to the hypothesis advanced. There is no denying that research of the brain has resulted in impressive accomplishments. Still, we know very little about the brain. The major reason for this is that while the physics of the brain is important, to the extent that the physics and the chemistry of the living are, they remain a partial description only. 1. Niels Bohr’s notion of complementarity, i.e., impossibility of a clear-cut distinction between the behavior of a system and its interaction with the measuring instruments. The particle-wave duality is one of his examples; the distinction between organic and inorganic chemistry is another. 2. Gödel’s notion of decidability, i.e., ability to distinguish between what is stated and what is described in the statement. This suggests that a full non-contradictory description of a complex system is not possible. The reactive brain admits fractionation, i.e., the reduction to components whose behavior is aggregated in the behavior of the whole. (For more on fractionation, see Rosen  and Louie .) One such example was already given: the single neuron in Barlow’s doctrine. Further examples are those of molecules, genetic associations with cortex functions or within the structure of the brain; attempts to manipulate, pharmacologically or otherwise, particular neurotransmitters or receptors. Cells were also singled out in direct brain stimulation of surgical patients, or in recordings of such patients (Libet , who identified the anticipation component, was active in this domain.) Populations and networks were studied with the aim of seeking correlations between cognitive aspects and structural morphometry, and functional connectivity. The understanding of the reactive (mechanistic) brain within the reductionist approach should not be discarded. Rather, it should be considered in its unity with the understanding of the anticipatory brain. The anticipatory brain, as a particular embodiment of the living, is not fractionatable. The complexity of the whole and that of any part naturally defined—thalamus, cortex, amygdala, etc.—or artificially obtained—e.g., individual neurons extracted from the brain, receptors, neurotransmitters, etc.—is the same, that is, like the complexity of any living entity. However, none is identical with another. Most important: the anticipatory brain, which can be understood only as holistic given the infinite diversity of its ever changing constituents, displays a broader causal dynamics, involving past, present, and future. The functional aspect (cf. 1) of this state transition in a system and the relational aspect [cf. (2)–(4)] are Bohr-complementary. This is an open system. It should be noted that the various brain metaphors and explanatory models assume a closed system whose parts (wheels, pipes, bolts, levers, etc.) define its functioning. Those aware of the irreducible nature of the living realize that the brain continuously remakes itself, just as the living to which it belongs (is part of) interacts with a changing world, more precisely within its Umwelt. Let us extend Gödel’s view of decidability to knowledge about the brain. A paraphrase will help: any effectively generated theory capable of expressing knowledge of the brain and its dynamics cannot be both consistent and complete. In particular, for any consistent, effectively generated formal theory that proves certain basic brain functions, there is a statement about the brain that is true, but not provable in the theory. For those educated in the spirit of logic, this is an easily recognizable paraphrase of Gödel’s Theorem VI of the original formulation , which served as inspiration (and reference). In a different context (G-complexity) , I advanced the view according to which the distinction between the living, of which anticipation is definitory, and the nonliving (the physical) is that between undecidable complexity and decidable complication. Once again, for those inclined to extract the brain from the whole to which it belongs—i.e., the thinking body—and which it ultimately characterizes, the results can only be fragmentary. A complete description is an illusory task, since the brain is in continuous change. But if ad absurdum such a description would be performed, the description would lack consistency. We can continue to describe how seeing, hearing, smelling, etc. take place. The effort is at times impressive, but what is obtained from such descriptions is mechanism, not the understanding of the integrated nature of cognitive processes. Empirical evidence from the study of brains is overwhelming in respect to the contradictory nature of all there is to it. Brain injury (TBi) and vocational rehabilitation brought up questions regarding factors that affect the outcome. Contradictory evidence regarding gender, occupational background, race, etc. has been reported . But just as overwhelming are the findings regarding the inner workings of the brain, the various time scales at which it works, the nature of its connectivity. If the brain were a computer (or any machine), descriptions of its functioning would not be contradictory. It is impossible to ignore that the heroic effort of the mechanicists to understand what the brain is and how it works is undermined by the premise they adopt. For inherited aspects of cognitive expression (what used to be called psychological functions), they have searched genetic underpinnings of differences from one person to another. Twins or family members were chosen as subjects. But in order to “put their eyes on” what genes contribute, the mechanicists assumed some associations between biological processes related to blood oxygen level dependent signals (neuroimaging’s BOLD technology) and gene expression in peripheral tissues. Experiments could not quantify and verify this assumption. In general, the brain-mapping obsession with localization (Where do mental process take place? How can they be triggered?) never explained the “Why?” and “How?” of cognitive activity . Machine learning (mentioned in the Introduction of this text ) is more and more deployed in order to connect patterns of activation in the brain (or of the brain) and cognitive outcome: the multi-voxel pattern analysis (MVPA) method. Representational similarity analysis (RSA) pursues the opposite path, with the same degree of ambiguity, in associating stimuli and responses. Mechanicists go even further, undisturbed by the fact that their experiments are not reproducible. They do not understand that integrating neuroimaging and computational modeling will not make living processes submit to the expectation of reproducibility. The fact that the brain, in its condition of G-complexity, cannot be algorithmic escapes their understanding. Such methods produce not only a skewed notion of the brain, but also one of no predictive use. Nikolai A. Bernstein (but not only), who, in order to examine the brain (at a time when visualization techniques did not exist), suggested that examining human actions (the motoric system) would provide access to cortical processes. It is no accident that Bernstein is mentioned here. “Anticipatory excitation”—under which label Bernstein understood what others called “neuromuscular tone” or “orienting reaction”—was used to “characterize the physiological premises for the creation by the brain of directing models of required future,” . Veresov  submitted an acceptable summary of Bernstein’s view: from reactiveness to activeness, from mechanism to organism. We would say “autonomous,” i.e., expression of a distributed cognitive activity, and not automatic. The goal-driven activity is fully confirmed by empirical evidence. This brings up a question: how should we understand how the goal to be accomplished in action can be the cause of the action? Since the goal defines the processes corresponding to the goal-directedness, the action through which the goal is attained (avoiding some danger, for example) can only be the expression of both the brain and the body. Veresov [30, p. 9] brings up Spinoza’s “thinking body” (a construct not really present in his writings) or Kant’s “creative capacity of the soul” in order to explain how goal-directedness is reached. What counts here are not such references (providing the usual shield of authority), but rather what prompted their explanation of how the brain works, and even what the brain is. Indeed, the external world and the internal reality of integrated mental and physiological activity go into what is expressed in the anticipatory action—a realization from the large space of the possible. A “reflex” movement, corresponding to the action-reaction aspect of the physically embodied living, can acquire, in a given context, new significance: hitting one’s toe against a table corner prompts a reaction. Avoiding the accident can be the result of a voluntary act or of an anticipatory action. Learning—which I claim is the explanation of many anticipatory characteristics (for example, the grip and the anticipation of gauging it as a harder grip on a heavy object, a light grip on a fragile, light object —explains how volitional acts (which the living initiates) and non-volitional acts (such as reactions) can fluidly turn into each other. Between unconditioned reflexes (no sensory trigger), such as blinking, and conditioned reflexes (Pavlov’s salivating dog), there is a continuum of expression in action: in a subject’s reaction to a blow of the fist, either by avoiding more or by striking back, there is a wide space of possibilities: “alternative programs” as Bernstein saw them. The selection of the response is part of the process and can be either the result of an evaluation or of spontaneity. Moreover, in the continuum of active expression, the majority of the acts are triggered from within (and usually defined as volitional). In Bernstein’s view, rest is movement at zero speed, the unconditioned reflex is a reaction with a zero degree of initiative (“activeness”). The model of the future is probably the aggregate of perceptional information (related to the context) and of information generated by the mind itself [33, 34]. Centralized and distributed processes are integrated in a coherent action—this is the expression of the thinking body. In the jargon of those seeking functional connectivity through neuroimaging (fMRI is still the preferred instrument), the resting brain is never quiescent. We still do not really know what the fluctuation in the BOLD signals are. But we know that the anterior and midline regions, as well as the temporoparietal cortex, change their pattern of activity depending upon tasks performed. This and other arguments of the same nature prompt our suggestion to consider spectrum disease as affecting not only the brain (e.g., Alzheimer’s, with its signature amyloid deposition and reduced metabolic performance), but the whole body. Progress has been made in documenting the role of physical exercise (in addressing autism, Alzheimer’s, comorbidities of epilepsy, etc.). 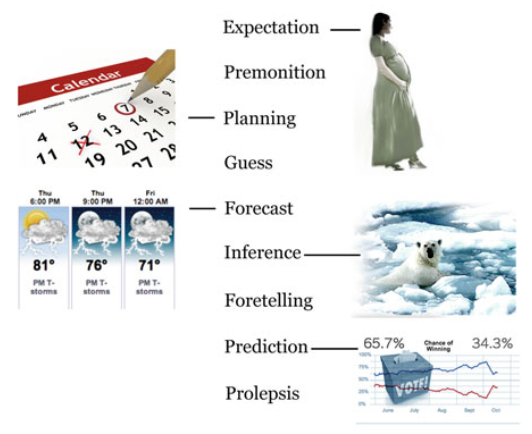 In the AnticipationScope, the expression of anticipation in action documents the hypothesis discussed here  (Fig. 3). “The cardinal premise” for Bernstein’s concept “is the ability to make prognoses and model the future” . We don’t know what the model of the future informing the anticipatory expression is, as we don’t know why in spectrum disease anticipation at work is either too high or too low. Some have questioned the possibility of getting 2D visual perception converted to a realistic 3D model. From my perspective, this is a non sequitur matter since in a holistic perspective, all senses—on the continuum of sense, not just the five identified so far—contribute to a coherent model. Moreover, the whole body is mapped to the brain, as much as the brain extends to the body. 1. Anticipatory processes are the outcome of interpretations, i.e., perception of consequences. 2. The dynamics of the living is the expression of interactivity. To be successful (in the evolutionary sense), action (through which anticipation is expressed) has to predate, not to follow, changing circumstances. Ergo: Evolution is predicated upon successful anticipatory action driven by the meaning of change in the world, not by quantitative variations. No living entity measures—it interprets. Measurement is a human activity associated with the construct called numbers, which define quantities. Interpretations, in a variety of forms, are part of the dynamics of life. It should be noted that Uexküll (The Theory of Meaning) believes “that life can only be understood when one has acknowledged the importance of meaning” . Those who study the brain, human or that of other species, might not realize that brainless living entities display anticipatory characteristics as well. The body of evidence regarding anticipation in plants, notoriously not endowed with neurons, is growing very fast . Indeed, plants have learning capabilities, as they also display adaptive characteristics of anticipatory nature. More recently, the living slime (Physarum polycephalum) was researched in respect to learning . Habituation, different from sensory adaptation or motor fatigue, is stimulus specific. The evidence results from non-mechanistic empirical observations: the slime samples, grown in petri dishes, found their nourishment on a path that eventually was polluted. The slime “showed a clear aversive behavior,” which diminished over time, as it learned (got “habituated”). Of course, in non-neural forms of the living, there is no awareness. Only with neuronal underlying emerges the “understanding” of what it takes to adapt, i.e., of the meaning. Moreover, if we really intend to apply models of computation to brain activity, we’d better realize that, indeed, there are many clocked operations, at various timescales, just as there are no fewer clock-free operations, of analog nature. Integration of what could be a digital form of data processing and of what could be analog processes is a difficult task. When this integration fails, as happens with some brain, lung, or heart conditions, or in the activity of the nervous system, the result is a relatively unique outcome for which neither pharmacological means nor others (e.g., surgery, prosthetics) seem adequate. We have good deterministic theories regarding biological clock processes, but still don’t know how to “fix” them, because we are obsessed with the matter, not with the function. In our days, there are many languages used to describe the dynamics of the living: our own so-called natural language; the large variety of mathematical languages (some would call them jargon); the language of chemistry (actually two languages, one for organic chemistry and another for inorganic); the language of genetics, the language of molecular biology. There are formal languages and there are programming languages, which algorithmic computation relies on. There are interaction languages characteristic of interaction design, visual languages (to which diagrams and animations belong), the languages of sounds. (NB: sonification is a sound representation of phenomena not related to sound.) But there is no specific language that corresponds to the nature of the brain. The neural network is a mathematical construct corresponding to the neuron construct, but not to the variety of neurons making up the brain. Moreover, while everything else in the world is described (better yet, represented) and eventually comprehended by our brains, to understand the brain, we use our own brain and the language associated with it. This raises a simple question: which language? So-called natural language (in which this text is written) is the outcome of interactions that cover direct, indirect, and mediated forms of human self-constitution through what human beings do: labor, leisure, feeding and eating, sexual encounters, combat, etc., etc. They can be immediate or delayed, concrete or more general in nature, or abstract. Parallel to natural language, and corresponding to a variety of practical experiences (of survival, for instance), other forms of expression have emerged as well: images, sounds, rhythms, sculpted and shaped objects. Numbers and associated operations, eventually leading to the language of mathematics, and of physics, chemistry, botany, zoology, etc., facilitated brain expression focused on quantity, as well as the description of the brain in some of these languages. With or without our intention, this creates an unavoidable open-ended spiral: brain ! knowledge about brain with the knowledge of the brain ! further knowledge about the brain, and so on and on (Fig. 4a, b). Only recently have we become aware of the relation between the language that describes something and the described. Indeed, representation, including those of the brain, depends on the means of representation. From among those making an explicit argument for what is called an “adequate language,” I highlighted Gelfand’s contribution . In a nutshell, he argued that formulations of biological subjects had better come from within biology. …the point is not to apply mathematics to biology from outside, but to create new “biological” chapters of mathematics originating from inside, from the very existence of the problems pertaining to the science about life [42, p. 66]. This epistemological prerequisite condition is evinced by the fact that we are our brains; that is, there is no way to distinguish between the whole human being (integrated system of systems) and the brain (separated from the whole to which it physically extends via the so-called nervous system). The whole of which the brain is constitutive is engaged in quite a number of different representations of the future (Fig. 5). These are internal representations expressed in a great variety of physical and chemical processes, but also in the associated meaning, realized at the molecule, cell, neuron, etc. level. In the interaction among organisms, these representations become perceptions. While such distinctions are rather of theoretic relevance within a study of anticipation and the brain, those who study the brain (mostly from a physics-based perspective) often face practical questions. What we know from the classic type of behavioral experiment is that a certain action (“Press button”) appears to correlate in some ways with the trigger. Neuromarketing took full advantage of the conditioning implicit in such experiments. The brain is placed in a closed-system context, where various messages (advertising, marketing tactics, product shape and color) are associated with motivation or reward activity. “Optimism bias,” i.e., test a hypothesis with the group where it was generated, is probably the least disturbing shortcoming of such “self-fulfilling” prophecies. Unfortunately, they are used also in “engineering” diets, educational methodology, legal applications. Indeed, the machine part of the living (in this case, the human being) can be driven by all kinds of stimuli. Neuroimaging does not explain the brain in such applications, but rather applies physics in order to describe what conditions behaviors. The outcome of such so-called experiments is not knowledge, but conditioning. Bem  went as far as to generate experimental evidence for anomalous retroactive influences on cognition and affect. The scientific community did not necessarily accept the results, despite the strict protocol accompanying them. What is strange with such experiments is that they are carried out against the understanding of the nature of the phenomena— in this case, prescient action (“guessing” the trigger). If this were an anticipatory expression, experiments could not capture them. They would be irreproducible (as is the case with most experiments on the brain). By their condition, anticipatory processes are non-deterministic. To document a non-deterministic event in the deterministic setting of the experiment is a contradiction in terms. In the case of predictive hearing, the results are well aligned with the anticipation characteristic of sound (in particular music) perception. The physics of hearing brought Hodgkin and Huxley a Nobel Prize . Theirs was a very inspired electric model (Fig. 6), tested and applied (for instance, in the hearing aid). The “machine” that Hodgkin and Huxley identified captures all sounds as data. But it can be called an “autistic” device: it cannot capture or provide for meaning. Yes, the data could match the pattern of a bird’s song or of a symphony, but could not realize their respective meanings. Generalizing from the simple neural making of a squid (known to have a large axon) to the human is in itself questionable. It is surprising therefore that Jeff Hawkins, a dedicated technologist, the man who designed the first handwriting recognition-based personal assistant (the Palm), built upon this understanding. The following, inspired by his research on the brain, expresses his views: “We should find cells in all areas of the cortex, including the primary sensory cortex, that show enhanced activity in anticipation of a sensory event, as opposed to in reaction to a sensory event” . A daring scientific hypothesis—anticipation of a sensory event, turned into prediction: “We should find cells.” At least, Hawkins is looking for biological evidence, not for circuitry of physico-chemical representations. Regardless, my concern is less with Hawkins’s approach (which still owes to a mechanistic viewpoint) and more with a perspective co-substantial with the subject. Hawkins’s handwriting recognition operated on the syntactic level. It was not meant to realize the meaning of words or their pragmatic function. The model of the thinking body (a concept erroneously attributed to Spinoza ) ascertains that the brain is distributed throughout the body. In other words, it affirms the holistic nature of thinking, taking into account that the vast majority of neurons are not concentrated in the brain, but distributed in the entire body. The spectacular deployment of neural networks (i.e., connected artificial neurons, which, as already mentioned, are mathematical constructs) in the theory and the applications of machine learning created an interesting epistemological illusion. It has been assumed that since they were inspired by the brain, they could model brain processes. The single neuron in the neural network assumed to be made up of identical entities is connected to all others and participates in the aggregate computational behavior that training the network brings about. In the brain, no single neuron is identical to any other. Neurons are not machines, with a defined input, threshold values of data, processing, output. Rather, they are extremely individualized entities, known to be self-sustained oscillators. Intensity (wave amplitude) and frequency depend upon excitability, synaptic activity (degree of integration in the living, ever changing network), and the glial cells. The chemistry of the process is extremely complicated. Here are only a few details. Neurotransmission affects the coupling of individual neurons. Potassium or magnesium can raise or lower the excitability. Calcium stimulates synchronization (as demonstrated in experiments with a living network in vitro ). Without going into more details—since neither the neuron as such nor the neuronal living network is the subject—we can suggest that the central, yet distributed, brain activity is the result of a dynamic process of aggregation resulting from synaptic interactions. Actually, many expressions of the thinking body do not rely on a central command. The extreme of this distributed cognitive activity is illustrated by the octopus, whose arms are, for all practical purposes, almost autonomous. The human being does not exhibit this extreme of the thinking distribution. The principle of minimum energy expenditure explains the richness of physiological activity and motoric expression. It also explains why centralism and distributed processing together define the entire mobility of the living, in degrees that vary from species to species. Of course, a living entity endowed with a reduced number of neurons is capable of limited movement expression and of lower adaptive capability. Awareness emerges once the autonomic expression of anticipation is accompanied by learning. Eventually it constitutes consciousness. Those aware of the fact that to observe neurons is to affect their condition have no difficulty in understanding that under conditions of experiment, anticipation is rendered impossible. Multielectrode arrays (MEAs), for instance, are deployed to connect the living neuron to some measuring circuitry. Neuron oscillation or neuron firing (the synapses) observed under these conditions at best lead to a record of the intrusion, not one of organic functioning. Techniques such as fluorescent calcium imaging, intended to facilitate the visualization of larger sets of connected neurons, is also intrusive. Therefore, it is not surprising that the purpose of the exercise is less the knowledge gained through experiment and more the preparation for the hippocampal prosthesis . Dedicated to the notion that the brain, like everything else associated with life, is yet another subject of physics, this type of approach will eventually go for a whole brain machine. If biology, and implicitly all disciplines pertinent to the living, wants to be like physics, it chases a chimera. The physical is defined through a limited dynamics that can be described through laws. To reach back to Windelband’s distinction of knowledge domains, this is the realm of the nomothetic.1 In contradistinction, the realm defined as idiographic2 is that of Gestalt, knowledge expressed as the record of change. The knowledge gained through such descriptions defines dynamics as itself subject to change: dynamics of dynamics. Laws and records are of a different condition. This is quite evident when we consider brain activity. No two brains are the same; no two epileptic seizures are the same, and strokes are as original (i.e., unique) as artworks are expected to be. As exciting and promising as the Human Connectome Project is (probably completed before this study is published), it chases after the wrong goal: to find how cognitive disorders or impairments (such as dyslexia, amnesia, etc.) might be the consequence of failed connection. To model functional connectivity is a high-order goal; to hope that fMRI data might help is slightly misleading, given the arguments within the community of researchers. Worse is to expect regularities similar to those captured in the laws of physics. The convergence of data in studies focused on connectivity, or on other brain characteristics, is as relevant as numerology. In the examples to follow, we shall see how particular physics-driven research, or research generalizing across the scale of brain manifestations, falls prey to, or avoids the pitfall of, nomothetic obsession. 6.1 What Do We Want to Know? How does the brain work? How do technology and the science expressed in it perform? These are two different goals, unfortunately most of the time confused. We shall examine some examples exactly in order to make sure that our main thesis —seek knowledge about the brain in the brain, not in the means for describing it— is understood in its specific articulation, and not as a general call. Research of the brain, in its vivo condition, post mortem, or on computer models, is often carried out on animals or on other simpler living entities. To which extent science can generalize across species and across scales (from the miniscule brain of an insect, to the brain of a mouse, or to the human brain) will continue to be debated. It is doubtful that inferring from the functioning of the over 70 million neurons of the mouse (and ca. 1011 synapses) to the functioning of almost 90 billion neurons of the human being is defendable. (It can be done, but with awareness of what can be expected, not what one wishes to find out.) The fact that much can be learned from the 302 neurons of the nematode Caenorhabdites elegans is undisputable. But learning is by no means generalizable across the scale. Neuronal recordings of a variety of non-human forms of the living contributed much to our understanding of variety, but by no means to causal necessity. Reversible inhibition or excitation applied to various examples (rats are preferred, for some reason) could not, even at the low end of the scale, explain the statistical distribution of the multivariate data generated in cognitive studies. It is worth mentioning that efforts are under way to study nothing other than consciousness of insects and other invertebrates—with the implicit assumption that they have consciousness. Bees are a choice, given that in their Umwelt they exhibit a very rich motoric behavior easily associated with what are called conscious choices. The fact that the human mid-brain is involved in awareness seems a settled matter. (This is not the place to argue otherwise.) It remains to be seen if the “first person perspective” of the bee and that of the human being have the anticipatory dimension in common . This could add to the arguments that this study has offered so far. Less open to argument remains the perspective adopted. For the reductionists, localization remains a valid question. “To fight or not to fight,” to take a recent example , is associated with the deep brain structure (the habenula) of the zebrafish. According to the research at the RIKEN Brain Science Institute, the habenula contains two neuronal circuits. Local field potentials (electric current) in win/lose fish were measured; fluorescence signals linked to neuronal brain activity in brain slices were corroborated with the electric signal. 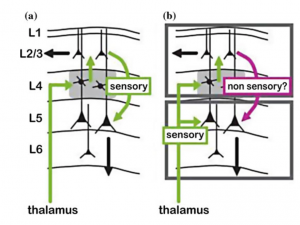 The so-called interpenduncular nucleus (IPN) evaluates the habenular inputs and informs on the fight behavior: “It makes sense” to fight or not. After that, fish were “prepared”—the circuits in question were silenced with a nerve toxin—to win. Transgenic fish (the “prepared” fish) had no learning: winning did not affect a successive choice. For the record: this is an example from among many extremely well conceived experiments. It was carried out using the most recent technology to localize activity at the neuronal level. I chose it exactly because, within the paradigm it illustrates, it is exemplary. The conclusion: “The same circuits exist in all vertebrates, including humans, with possibly the same bistable mechanisms.” The authors further claim to predict fight outcomes purely from neural data. What the research suggests would generalize the machine model, i.e., a nomothetic achievement, as illusory as the premise upon which the research was carried out. This is different from the attempts to deal with consciousness from the perspective of the pragmatics (in the case of the bees, the mobility aspects, i.e., the large space of possible future states from among which one becomes awareness of finding nectar or getting back to the hive). The reductionist-deterministic view in the RIKEN experiment might be nothing more than yet another example of how the premise is echoed in the experiment: circular analysis, not different from that in neuroimaging research. A holistic perspective would entail considering the brain in connection with the whole (in this case, the entire zebrafish). It would also require placing the subject in its Umwelt, or at least in the social context. Aggression, as documented, is an individual expression only under conditions of pathology. Otherwise, it corresponds to social interaction and is associated with social behavior. Obviously, the transgenic fish is a fabricated pathological case, and the correlation to neural activity only qualifies the measured electric activity as characteristic of the pathological. Scientists coming from the biochemical tradition would not measure electricity but identify which substances are involved, which ions, etc., they would deliver specific data (and publish the results, inviting others to validate their findings). It should be at least mentioned here that such and similar attempts illustrating different perspectives of the problem end up delivering valid data, about a partial aspect of the processes researched, without really explaining them. The complementary anticipatory view, not simply an alternative perspective, could be further exemplified. Mapping the bees’ nervous system—around one million neurons and a very small brain—could lead to hasty computational models, or to non-deterministic descriptions that reflect the holistic nature of anticipatory behavior. The hypothesis advanced in this study suggests that consciousness is the outcome of interactions always missed by those who attempt to localize a function or explain a certain performance in the living. Obviously, the same discussion on how a particular knowledge perspective affects the outcome of research can be extended from the focus on the brain to the state of the body in general—bee or human being—to what those involved in healthcare practice can derive from it. We are proceeding in this direction. Biology (with some exceptions such as mathematical and computational biology) is associated with hands-on activity. The lab, in some form or another, is where biologists observe, measure, and manipulate their subject—and realize (hopefully) the uniqueness of each. It is about the living, from the scale of large communities to molecular biology and genetics. The Cartesian revolution, and subsequently Darwin’s evolution theory, foisted upon biology a particular scientific underpinning, rarely questioned. Biologists rejected the vitalist view of distinguishing between the living and the nonliving on account of entelechy, the hormic schema, l’eÌlan vital, sentiment inteÌrieur, and the like. Vitalists undermined their own work. Hans Driesch correctly understood that his experiments (dividing cells of sea urchin embryos) would not confirm mechanistic theories of ontogeny. Nuclear cytoplasmic interaction and nuclear equivalence became part of the conversation in biology long after the reported experimental biologist that Driesch was sought explanations for his failed mechanistic hypothesis in entelechy (life force). Even Bergson’s attempt, or some years later Schrödinger  and Elsasser , or more recently, the notion of self-organization (Varela and Maturana ) have not helped the discussion of whether the living and the nonliving are the same. Vitalism, a demeaning label always suspect of mysticism or religious infiltration, made the controversy difficult. The reductionist-deterministic view (in reaction to which vitalist explanations were advanced) had the advantage of bridging to the successful path of practicality. The making of things, of machines in particular, of assembling them from parts, and of fixing them (often by taking them apart) shaped the human being more than thinking about their own condition did. The future biologists felt like craftsmen (artists and engineers, we would say today) performing grafts, tissue culture, genetic modification, staying away from mathematics. The farm became a factory, and the farmer an engineer. The same holds true for physicians: they want to be more like mechanics. Whether in the Indian, Chinese, Babylonian, or similar culture, medicine, as a form of applied biology, involved the arts of dealing with herbs, minerals, and animals and body parts. The earliest known prosthesis (the Egyptian Greville Chester Great Toe, ca. 1295-664 BCE), and the Roman Capua leg (ca. 300 BCE) embodied reductionism and determinism well before it was formulated. The 16th-century Ambroise PareÌ, who performed amputation surgery, also designed a hinged prosthetic arm. There was no room, and no real need, for philosophical discussion. The healer’s art and skills prevailed, plus quite a bit of mysticism, later religious devotion since the outcome seemed to depend on immortal forces that transcended the mortal doctors (some qualified through dedicated study involving empirical knowledge, others charlatans of the like encountered in our days). The mechanistic view facilitated what biologists were after: closeness to the real thing. To ask What? the real thing was, was more attractive than asking Why?—as to why does the living behave differently from the nonliving; and why (again) is the human being not reducible to animals. The more important Why? of disease, suffering, and death were avoided or turned over to the church. The mechanistic perspective informed the short path; the long path, the Lamarckian tradition, was time consuming. Behavioral, genetic, or even anatomical changes take time and are not, like mechanistic procedures, guaranteed to succeed. The opposite of determinism— non-determinism—reflects the fact that in the living some processes related to what is defined as illness take a path difficult to understand (not to say accept). And even more difficult to reproduce. In the final analysis, they are always unique. Generating from the unique—the idiographic realm—has a certain attraction to it: the promise of finding not the cure for one person, but for all those who experience some shared symptoms. Individualized care is similar to individualized life. The individual lives the disease. There is no one description for all individual lives. Creativity comes to mind in this connection, as an original expression. Indeed, biological processes are by their nature an expression of sui generis creativity. There is no homogeneity in the living, as there is no repetition. Regardless, the physics reduction is omnipresent: “The ultimate aim of the modern movement in biology is in fact to explain biology in terms of physics and chemistry” . Time and again physicsand chemistry-based assertions proved, to put it carefully, at best to be incomplete descriptions of living phenomena. Still, this has not triggered the questioning of reductionism, not to say reformulation of physical or chemical principles. While Jan Smuts’s holism was actually of no consequence to biology, the consubstantial notion of Umwelt deserves to be considered. Uexkühl described it  with much detail in respect to the organism’s functions. The example of the tick can help in understanding the thought. Given that the purpose of the living is reproduction, the tick seeks the medium for planting eggs. It can take a long time— up to 18 years (each form of life has its own time scale)—until the coat of a furry animal passing by becomes available. The blind tick registers butyric acid (in the sweat), body warmth, texture. Umwelt becomes accessible to the bug through the receptor and effector system. For another animal, the meaning would be different. This is not a matter of physics, nor one of chemistry; it is a matter of significance, i.e., what counts are not numbers to describe quantities, but meanings. The tick does not measure how much butyric acid, how warm the body, how dense the fur. The meaning is: medium for multiplication. Reproduction is the fundamental characteristic of the living (the purpose aspect, i.e., the teleology of existence). The human being accesses the world through representations, which means reality re-presented, made into a virtual reality. For this to happen, the whole of the body—all the systems we are aware of—is engaged. It is a generic act of autonomic interpretation of the world. The molecules of the neurotransmitters do not know what numbers are, or even what a threshold is. They interface with reality through sensors, and are interfaces with various cells eventually constituted in dynamic cell populations and neural networks. Together they make up the entire body. Therefore, when Bernstein suggested accessing the brain through motoric system expression, he was not using a metaphor. For him, the course of life consists not in reaching “homeostasis with the environment,” but actually in overcoming the environment. As we know, homeostasis was derived from the dynamics of machines, and, if properly captured, would describe how much of the human being’s functioning is truly analogous to a machine’s functioning. Its final goal would be “to maintain uniformity” . Rheostasis includes a change in set-point, a reactive mechanism of adaptation to different circumstances. Allostasis, “cephalic anticipatory adaptation”  would transcend the machine model in favor of self-adjusting processes. “The concept of Allostasis was introduced to take account of the physiology of change and adaptation…to the behavioral and physiological anticipation of future events” . The potential for cephalic anticipatory adaptation is characteristic of the human brain. The type of control associated with allostasis is “not just in reaction (to change), but in anticipation of it” [58, 59]. From the mechanistic perspective, movement control means that the brain commands a muscle and the joints execute movement. A simple examination of the spine (separate vertebrae connected by flexible joints), of the neck (involved in very complicated head movements), of the glossopharyngeal (that supports the ability to speak), of eye movements (coordinated by 24 eye muscles) gave Bernstein, and many others, reason to doubt that the machine reduction is an effective way to understand the motoric system. He realized that the human body has quite a number of different types of mobility. The variable number of degrees of freedom renders implausible the understanding of choice as a central function. Bernstein’s Atlas des Ganges und Laufes des Menschen (Atlas of the walking and running gait of the human being [translation mine]) is a detailed account of human movement . The manuscript, dated 1929, brings irrefutable evidence of the non-deterministic aspects of leg movement. All this is relevant to the suggestion already made: to understand centralism and task distribution, sequentiality and parallelism, homogeneity and heterogeneity together. Maybe one more example for explaining what is meant: the octopus (of course not related to the human being) was described as having “eight brains” (in the eight arms). Peter Godfrey-Smith, a philosopher interested in animal intelligence, remarks, “Perhaps in octopus we see intelligence without a centralized self [61, p. 16]. An octopus’s arms have a high degree of autonomy. With the nerve connecting the arm to the brain cut, stimulating the skin resulted in independent behavior (including the acts of reaching and grabbing food). An octopus can even tear its own arm. The unity of central and distributed activity leading to coherent behavior is what I try to exemplify. In their Umwelt, octopuses display what for an observer would qualify as intelligent behavior . Imagine, for a change, an observer of the human being. Motoric expression, i.e., how humans move, how they perform certain activities (from sexual expression to what we call intellectual activity and artistic performance), together with patterns of nourishment, could easily be catalogued. Mood, emotion, affectivity would probably require further examination. Individuality, as the identifier of a selected specimen within the social context, would also become clear after a longer period of observation and comparative effort. The fundamental distinction between the observer and the observed could concern consciousness, i.e., the extent to which the observer could infer from a current state to a future state, without affecting the transition from one to another. 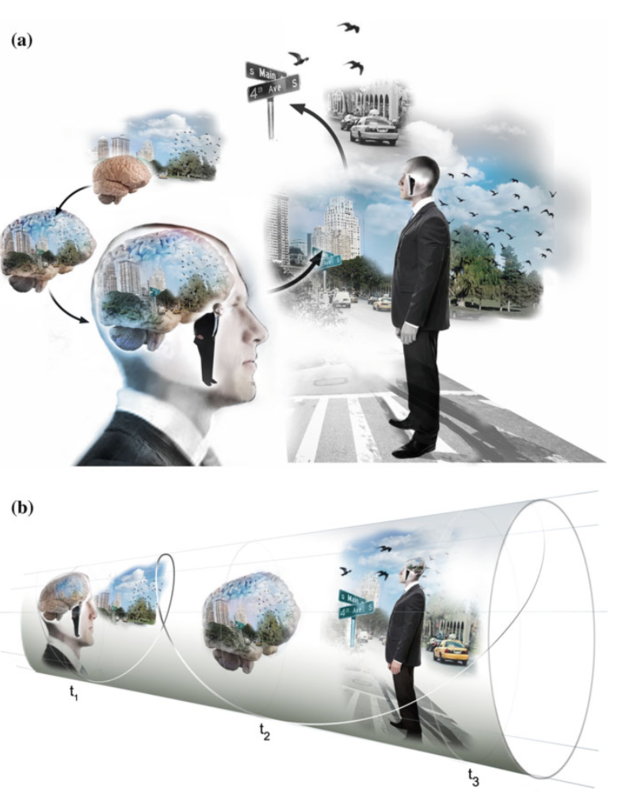 When humans observe their own consciousness, they cannot avoid changing it (see Fig. 4). The recursive loop makes every observation falsifiable. But yet again, the observer would take note of the creative nature of human dynamics. From insemination to birth, adolescence, maturity, and death, creativity is omnipresent. What humans qualified as illness, regardless of its nature, would appear as well as a unique expression. Sometimes it is overcome without any outside intervention. Most of the time, it is subject to a particular form of activity (called healthcare), performed within a pattern that does not distinguish between the living and the nonliving. The “thinking body”—a conscious effort to describe that of which the observer is part—is actually the human being in its complementary condition: brain and movement (through which both time and space are constituted). Variability is achieved in light of the fact that a great deal of movement, or better yet, brain and change in its broadest sense, is locally initiated. The multitude of joints and muscles, of various degrees of freedom, continuously check each other. 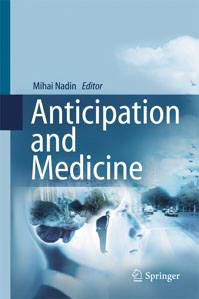 Anticipation is the outcome of holistic processes expressed in action: attraction, avoidance, propagation, intervention. The future state is one of significance for survival and for pursuing goals (which are part of the possible future). In this holistic view, it is not possible to ignore the fact that the human being has to be understood in its unity, not only with the extended world, but also with its microbiome—all the microorganisms that coexist (one can say “co-think” and co-act). Microbiology estimates that the 30 trillion human cells are complemented by fungi, archaea, viruses, and microbes. At this time, we probably do not know enough about what all this means, but we can easily realize that the undecidable nature of the living, in particular in its realization as human being, might have something to do with it. Within the Seneludens research project  dedicated to various aspects of aging, attention was given to capturing anticipatory expression in some form. The AnticipationScope  provided both a record (data along a timescale of activities) and a kinematic visual expression (the film of the activities). Time reference, in the sense of interval, is essential. Duration informs regarding preparation, onset, performance, outset. During the Seneludens experiments, a hypothesis, informed by the presence of a large set of subjects of spectrum disease affected individuals was formulated: Autism is the expression of skewed anticipation. Almost eight years later, I can be quite satisfied that the hypothesis was proven right. A patient (John Elder Robison ) and a neurologist at Harvard University (Alvaro Pascual-Leone )3 shared an experience involving transcranial magnetic stimulation (TMS)4 applied to a well-documented case of autism, manifested as “missing emotional language.” TMS was used for diagnostic purposes (localization of the brain areas involved) and therapy. The frontal lobe was targeted with the purpose of identifying possible association with empathy. For the evaluation of the ability to induce change, motor areas were stimulated. The patient, a professional with an excellent record of engineering sound systems, had an almost perfect physical processing of sounds. Missing was the ability to interpret, to live the melody, to experience emotions. In other words, data was processed with the precision of a machine, but there was no meaning associated with it. Thus was answered Gelfand’s question whether the neuron was only a substratum for electrical signals, or something else made it as important as it is in neural networks for the human perception of the world. 1. Consider the uniqueness of each form of cognitive disorder. 2. Consider the whole within which it became symptomatic. 3. Consider the pre-symptomatic phase (for instance, in Parkinson’s, this extends to over six years). 4. Consider the interactive dimension, and identify which are the factors influencing it. 5. Consider the immune system, as part of the larger “thinking body,” as the immediate ally in addressing disorders, no matter of which nature. 6. Identify the way in which the anticipatory expression in the state called health (as relative as the term is) is affected and seek alternatives consubstantial with the living. The degenerative path of the species will not be reversed by reprogramming the genetic code or by retraining neuronal networks via transcranial electric or magnetic stimulation (TES or TMS), or through the so-called deep brain stimulation (DBS). Evolution, from the embrace of which humans liberated themselves to a large extent, suggests the patient path of engaging biological factors, not succumbing to the seduction of becoming machine-like. 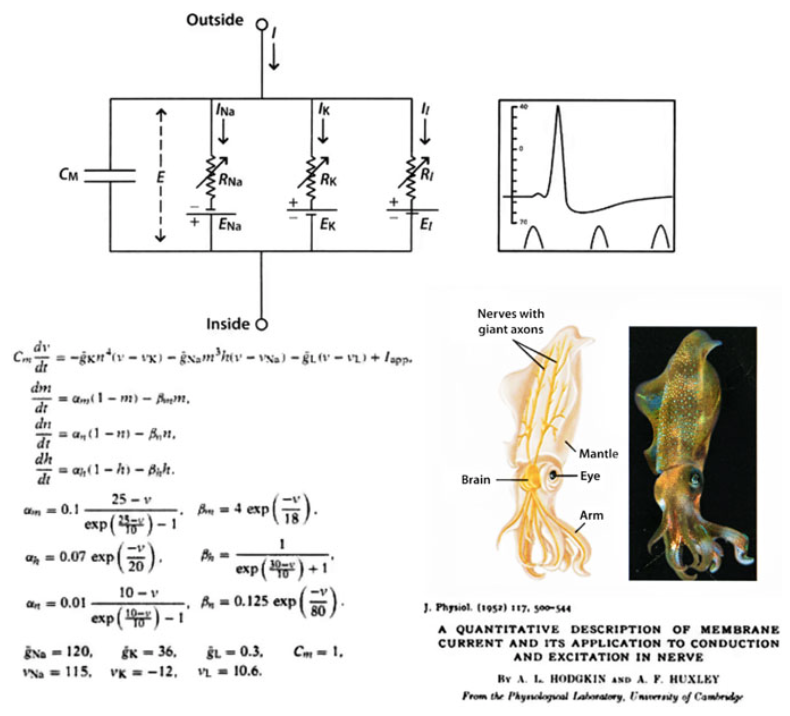 The trans-species condition claimed by Neil Haubisson (featuring an implanted antenna and several sensors that make him experience the world in a way different from how a human would) is not exactly what this study argues for, although by no means is it an argument against seeking knowledge beyond the traditional boundaries of science. The Russian Academy of Sciences, N.P. Bechtereva Institute of the Human Brain (St. Petersburg, Russia) challenged me to present my understanding of the brain and the role it plays in anticipatory processes. The keynote address at the conference Modern Trends in Human Brain Neuroscience (September 24–26, 2015) offered the opportunity to engage scientists of reputation in a discussion of the ideas presented. I am indebted to Dr. Valentina Ilyukhina and Dr. Elena Nikolaeva for initiating the invitation, and to the antEÌ–Institute for Research in Anticipatory Systems for supporting the research. Hanse Wissenschaftskolleg made possible the revision of this manuscript and preparation for publishing. I am grateful to Dr. Matthew Goldberg (UT-Southwestern Medical Center) for suggestions regarding pre-symptomatic diagnostics of Parkinson’s, and to Dr. Michael Devous and the study group on fMRI for helping me clarify the potential and the limits of this technology. Kalevi Kull and Andres Kurismaa provided useful references to the work of F.S. Rothschild. The Deutsche Forschungsgemeinschaft supported some of the research. 1 Of or relating to the study or discovery of general scientific laws. 2 Of or relating to the study or discovery of particular scientific facts and processes, as distinct from general laws. 3Interview on Fresh Air, National Public Radio, April 21, 2016. 4In the jargon of science: Repetitive transcranial magnetic stimulation induces long-lasting changes in protein expression and histone acetylation.